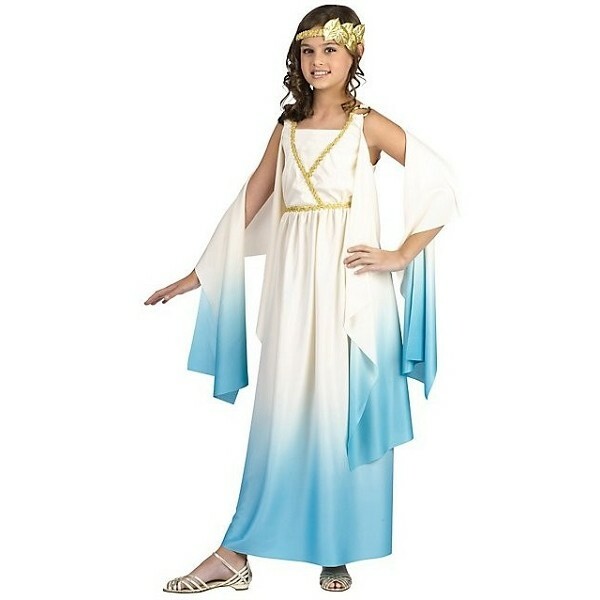 Become a goddess for a day when you put on this Girl's Greek Goddess Costume. 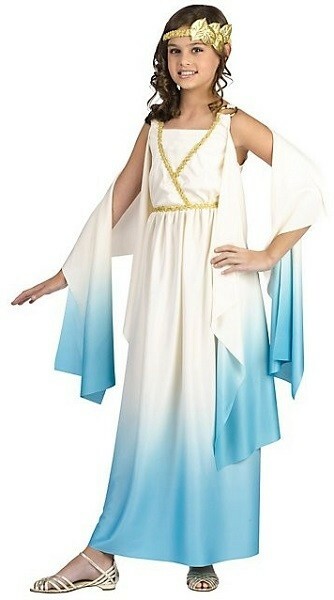 Includes full-length blue dipped ombre gown and gold leaf headband. Please note: does not include shoes.